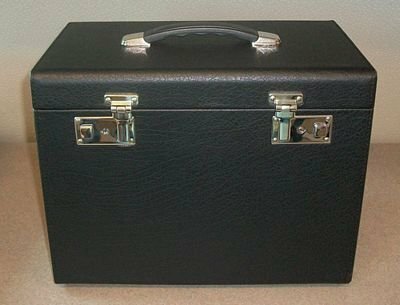 This is a reproduction carrying case for the Singer 221 Featherweight sewing machines. It is just a tiny bit larger outside dimensions than the original, postwar Singer cases. It is significantly heavier in weight by a couple of pounds, due to the thickness and newness of the wood (not dried out like the original 60-80 year old cases). Comes with the plastic side box and two keys. NOTE: This item is shipping intensive, and is priced to fit into our tiered shipping cost system. For orders outside of the 48 US states, additional shipping charges will be required after checkout. You will be notified by email of the actual shipping charges (billed at cost) and given the option to pay those charges or opt-out of the order if you wish.